1069 J. Clyde Morris Blvd. Don't hit the road before you've had a chance to sit down to a great morning meal at our hotel’s complimentary, hot breakfast. Choose from an array of options that include muffins, yogurt, eggs, waffles and bagels. 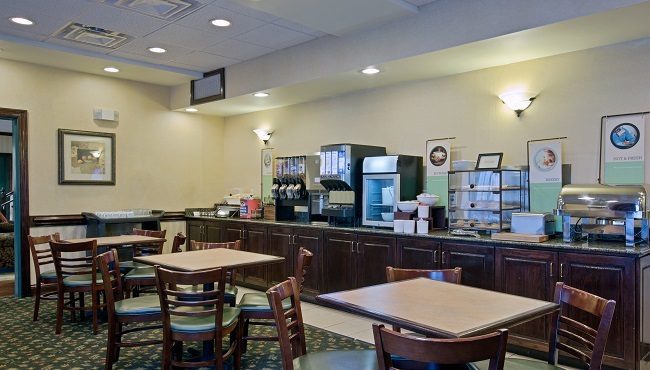 The Country Inn & Suites is also near a number of popular dining options that serve lunch or dinner, including Grandstands Grill, County Grill & Smokehouse and TGI FridaysSM Restaurant.